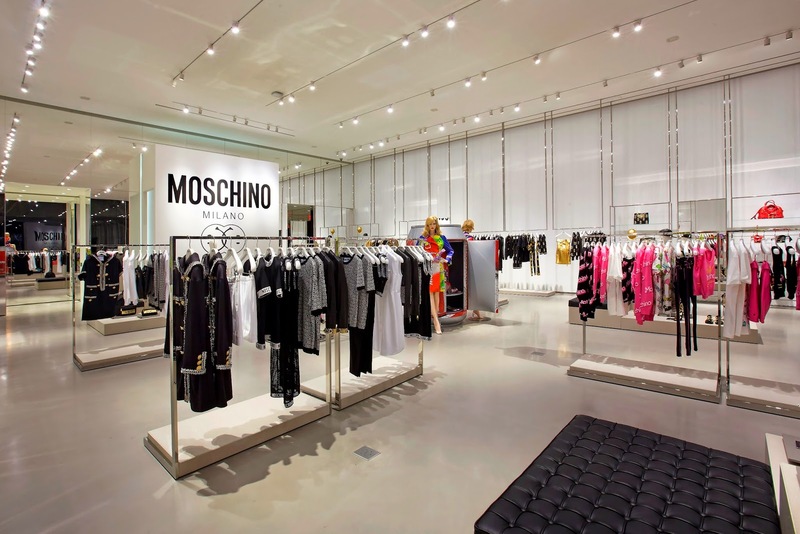 The first flagship Moschino store under the Creative Direction of Jeremy Scott will open in West Hollywood on Monday January 19, 2015. 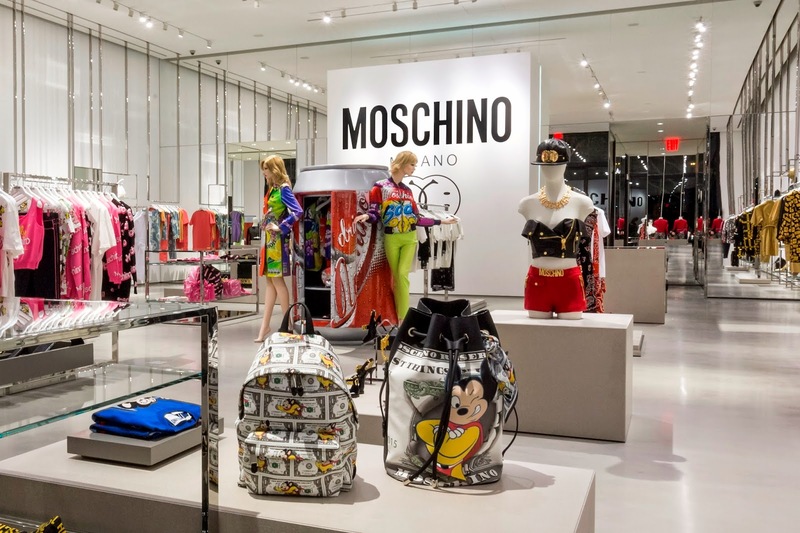 The Moschino Couture RTW collections and accessories for Men and Women will be housed in the new boutique, along with swimwear, intimate apparel, jewelry, fragrance and tech accessories. The 3500 square foot store, located at 8933 Beverly Boulevard, in the heart of the West Hollywood Design District, is a vast and light filled gallery space with soaring ceilings and sleek chrome fixtures. 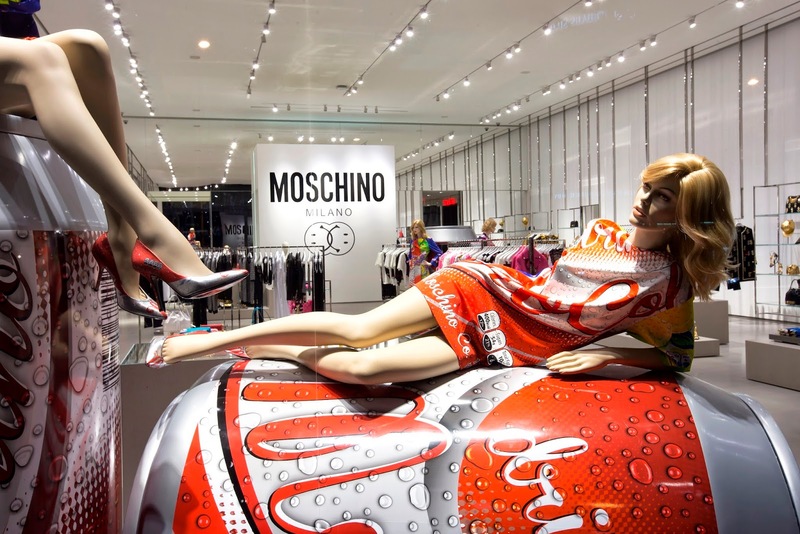 The free standing white modernist structure is rectangular with a vast glass façade punctuated by the black Moschino logo. Floors and display cases feature concrete and stone finishes with tufted black leather seating. All of the fixturing elements of the boutique, including the hanging display and shelving units, are moveable and installations and display will change continually to reflect the themes of the new collections. Thank you for taking the time to read our designer fashion boutique blog post. We hope that you have found this news to be informative. Here are a few more images from the new store in West Hollywood. Read more fashion boutique blog posts here on the Fashion Blog.